Want to see how business is going? 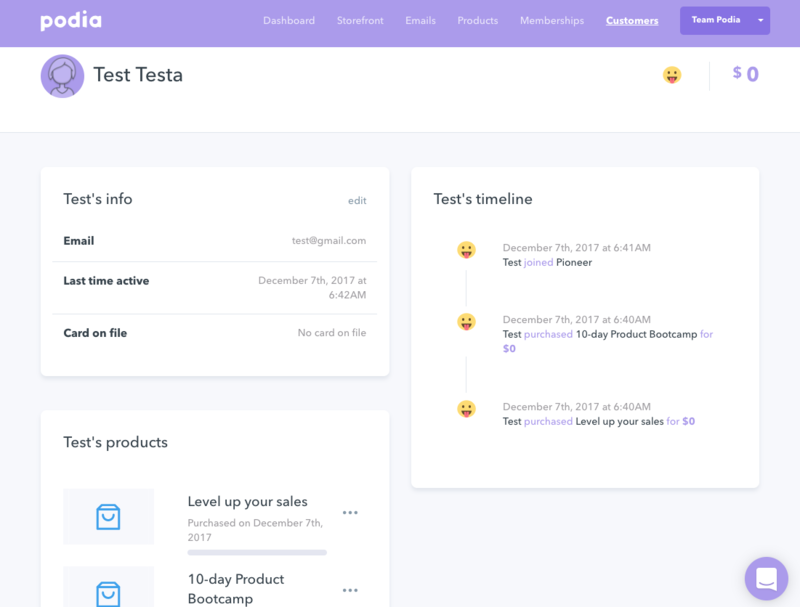 Check out your Sales report in Podia. Click the "Memberships" button in the top sidebar, and then choose "Sales." 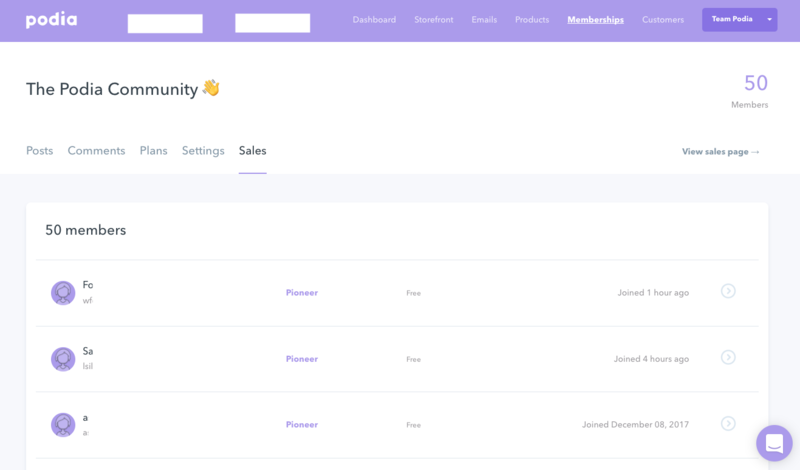 You'll see your total Memberships sold at the top, and individual signups below. Soon, we'll also be adding more detailed financial metrics (like Monthly Recurring Revenue), giving you an even better sense of your business. If you have more questions about how to see your sales, reach out to us at [email protected] (or click the icon below to chat with us! ).